Our office offers many advanced treatments to help patients experience relief from dry eye. Our doctors prescribe custom therapies depending on the type of dry eye a patient is experiencing. These therapies may include lubricating the eye with topical artificial tears, a prescription eye drop, or LipiFlow treatment. The LipiFlow Thermal Pulsation System by TearScience® is the first and only treatment that addresses the cause of evaporative dry eye: blocked Meibomian glands. 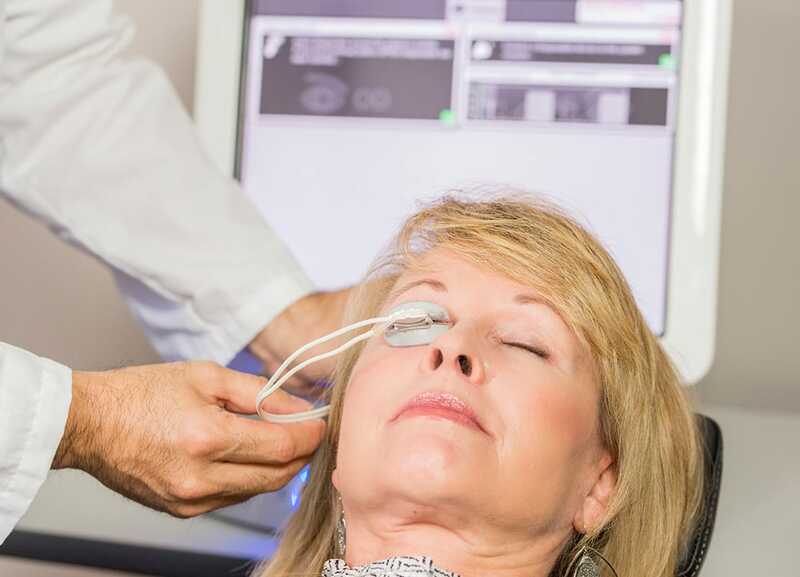 For individuals who have tried to alleviate symptoms with eye drops and warm compresses, LipiFlow treatment may be the key for sustained relief from dry eye. The LipiFlow relieves Meibomian gland blockage by applying a combination of directed heat and pulsation pressure. The LipiFlow Activator (a disposable eyepiece) is inserted under the lower and upper eyelid and is shaped to prevent contact with the cornea. Once in place, the patient simply reclines in the treatment chair for the ten minute procedure. Think of it as a “spa treatment” for your eyes. Gentle heat and light pressure create a warm massage that stimulates the Meibomian glands’ natural lipid production and helps restore the balance disrupted by evaporative dry eye. Opening and clearing these blocked glands can allow them to resume natural production of lipids (oils) needed for a healthy tear film. Four weeks after a single LipiFlow procedure, 79% of patients reported an improvement in overall dry eye symptoms.